Can be easily attached the desk having thickness of up to 1.5”, provides 18” of pneumonic height adjustment, retractable mouse and keyboard tray, VESA compatibility from 75mm to 100mm, weighing capacity up to 15 lbs. Supports VESA compatibility from 75mm to 100mm. Weighing capacity is up to 15 lbs. Since, businesses these days are more concerned about cost efficiency and high productivity due to high competition. 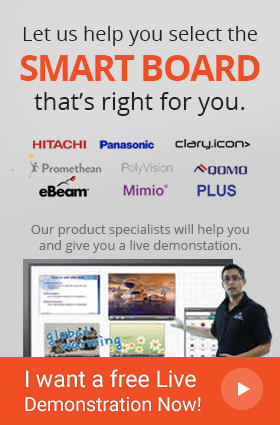 Therefore, every office is looking for smart solutions that reduce cost and ensure productivity. Balt has come up with Up-Rite mount desk mounted sit/stand workstation that not only ensures cost efficiency but also provide comfortable yet productive environment. The 91113 sit/stand mount comes with the most innovative features that provide comfortability with customizable options. The 91113 sit/stand mount accommodates displays up to 15 lbs with center to center size of 25”. It incorporates a retractable mouse and keyboard tray having (27”W x 9.63”D). Users can easily adjust the height up to 18” with the amazing pneumonic height adjustment feature. While mounting this easily attachable mount requires a 1.3”D lip and can be extendable up to 1.1” from the desk. The 91113 sit/stand mount has an integrated cord management system that can manage the cables up to 60”. Also, it comes with a single monitor arm and a double monitor arm. Q. Does Balt sit/stand workstation come with warranty? Q. Does the Balt sit/stand workstation hold displays more than its weighing capacity? A. Yes, the Balt sit/stand workstation can hold displays more than its capacity, however it is always recommended to use the carts of required capacity. Our store offers carts that accommodate all kinds of displays. Q. 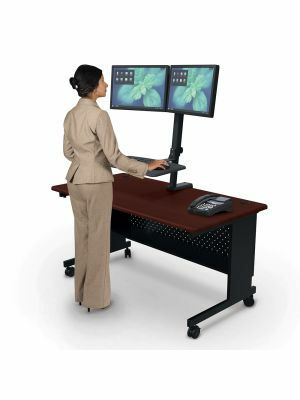 Where can I use the Balt sit/stand workstation? A. The Balt sit/stand workstation is ideal for every kind of industry such as business environments for presentations and seminars and class room environments for lectures and collaborative discussions. Q. How can I clean the Balt sit/stand workstation? A. In order to clean the Balt sit/stand workstation, use the wet and soft sponge and lightly rub over loose dirt.